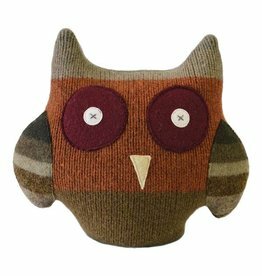 Cate and Levi stuffed Owl Pillow Pal is wonderful for kids of all ages as a throw pillow or for snuggling. Each one is made from reclaimed wool and perfectly unique. 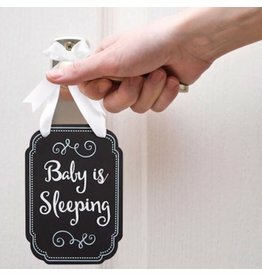 The Pearhead Baby Is Sleeping Chalk-Style Door Hanger is a sweet way to let everyone know that baby is (finally) sleeping.